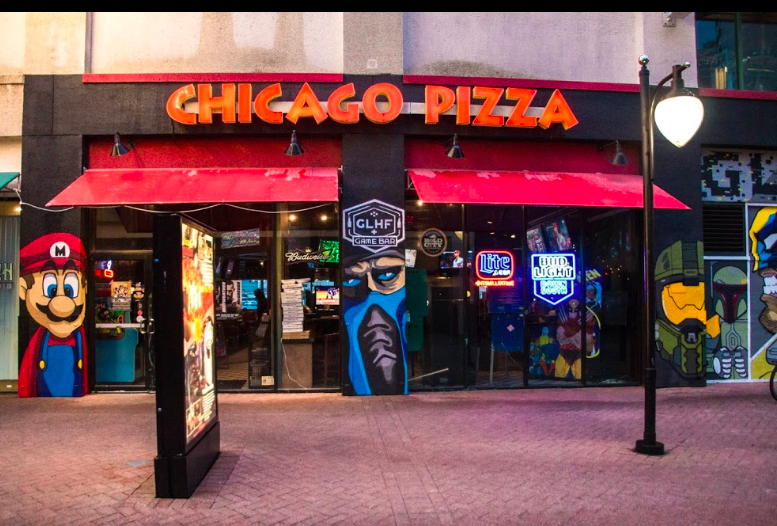 Enlarge / A photo of the outside of GLHF Game Bar. A single shooter opened fire on a Madden NFL 19 tournament in Jacksonville, Florida on Sunday afternoon. Initial reports suggest four are dead and at least 11 are injured. At a police briefing held at 4:30 pm ET, Sheriff Mike Williams of Duval County would not confirm the number of dead and injured, but confirmed that there were deceased people at the scene, which took place at the GLHF Game Bar, located at The Landing, an open-air marketplace in downtown Jacksonville. “We have no outstanding suspects at this time,” Williams told the press. The shooting broke out during a qualifying event for the officially sanctioned Madden 19 Championship Series, which was being live-streamed on Twitch. Live video of the competitors themselves cut to a full-screen shot of the gameplay feed as the shooting began, but audio of gunshots and screaming victims was still being captured. Twitch has since removed the video, though it is available on YouTube. Be aware the video is extremely disturbing. Sheriff Williams acknowledged that the police were aware of the video, and urged anyone who might have additional video or audio of the event to make it available to the police. Tim “oLarry2K” Anselino, a pro NBA2K player for Bucks Gaming, was also one of the shooting’s victims, according to a tweet from his mother.